Is Gloria Allred's Daughter Li$a Bloom, Who Recently Represented Kathy Griffin, Working with Eric Bolling Accuser? Is Gloria Allred’s Daughter Li$a Bloom, Who Recently Represented Kathy Griffin, Working with Eric Bolling Accuser? It turns out that Carolyn Heldman, the untenured Occidental College associate professor accusing Fox News’s Eric Bolling of sexual misconduct, was recently represented by Lisa Bloom in sexual misconduct claims against Bill O’Reilly. 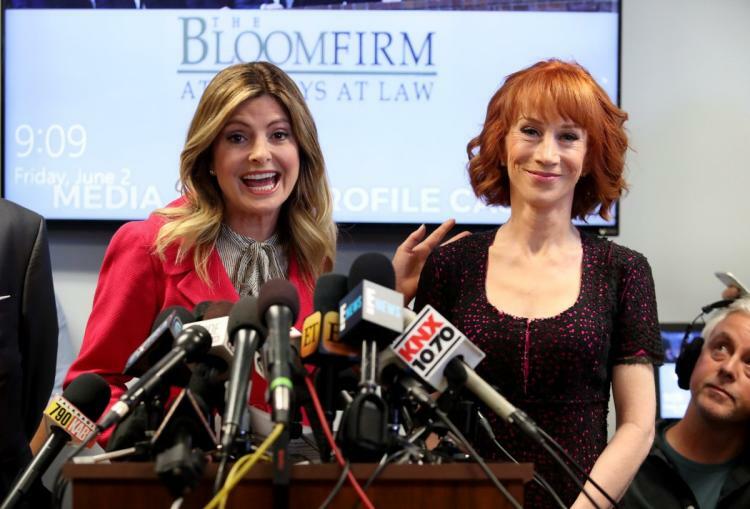 Bloom, the leftist, notorious, publicity-seeking attorney daughter of leftist, notorious, publicity-seeking attorney Gloria Allred, was in the news recently as well for another matter. She claimed “comedian” Kathy Griffin was a victim of bullying after Griffin actually faced consequences (i.e., being fired, at least temporarily, by CNN) for posting a picture of herself with a fake bloody severed head of President Trump. Bloom made a point in her statement to Variety to use the phrasing “we persisted,” The phrase “she persisted” has become a sort of rallying cry for those fancying themselves “feminists” since earlier this year when fake-Native American Elizabeth “Geroni-Mao” Warren was reprimanded during confirmation hearings for now-Attorney General Jeff Sessions for her persistence in her position that decorum rules for the Senate floor ought not apply to her. Chelsea Clinton, in another milestone in her peripatetic career, has exploited the “She Persisted” phenomenon to reinvent herself yet again, this time as a children’s book author, with a book called, of course, She Persisted. Those who believe anti-white bias is our biggest racial problem should read @DrIbram‘s Stamped from the Beginning. This is consistent with his appointments being almost entirely white and male and his overt bigotry against Muslims and Mexicans. Trump is exactly the white supremacist he showed himself to be during the campaign. Now our tax dollars will defend white rights. Hideous. I’m a civil rights lawyer. Every day my team fights real civil rights battles for women, people of color, LGBT folks. Whites? Please. Remember that the majority of Trump voters think discrimination against white people is more prevalent than against black folks.